Yesterday I had an appointment with the autoimmune/rheumatology specialist I have been waiting to see. He played connect the dots with my symptoms. Hair falling out? Check. Eyes dry? Check. Mouth dry? Check. Skin rash? Check. Exhausted? Check. Muscles hurt? Check. Joints swollen and painful? Check. Gastrointestinal discomfort? Check. Who have I seen? Opthamologist who diagnosed me with blepharitis. Gastroenterologist who diagnosed me with Barrett's Esophagus. Internist who has diagnosed me with 'borderline' diabetes and pernicious anemia. Oh and multiple bouts of candida infections on or in just about every part of my body. Pulmonologist who diagnosed me with sleep apnea. This is not to mention the findings of sciatica and a few bulging discs and bone spurs pinching nerves in my neck as a result of an accident. He takes in all my complaints, looks at all my prior blood test results and says I am in the right place. My body is having autoimmune problems and all these things are related. I almost cried. Not scared or worried crying. Overjoyed. Up to that moment I thought I was the greatest hypchondriac malingerer on the planet. Then I realized that what he is telling me is that my immune system has turned Benedict Arnold on me and is attacking the good cells in my body. I am being hit by friendly fire.... covertly.... in the secrecy of my own skin. My leukocytes are turncoats. I told the doctor to tell me what he was thinking because my imagination is far worse than whatever he was considering. He threw out a few possibilities. Autoimmune hepatitis. Sjogren's Syndrome. Lupus. And things scarier than all those combined. I told him I was going to consult Dr. Google on these and see if I wanted any of them. He assured me I don't. Never heard of Sjogren's Syndrome. That's what I Googled first. If I have to have it, I'll take primary Sjogren's thank you. I would rather not have it be a symptom of another autoimmune disease like lupus or rheumatoid arthritis or scarier stuff. Oddly enough there wasn't a lot to read on it... until this morning. There I was watching Good Morning America and Venus Williams is announcing that she's dropping out of tennis competition because she's been diagnosed with Sjogren's. Later in the day I Googled Sjogren's and a plethora of sites are now available to tell you all about it. I tell you what. I would rather have something else in common with Ms. Williams. I hope the one thing we have in common is rebirth. 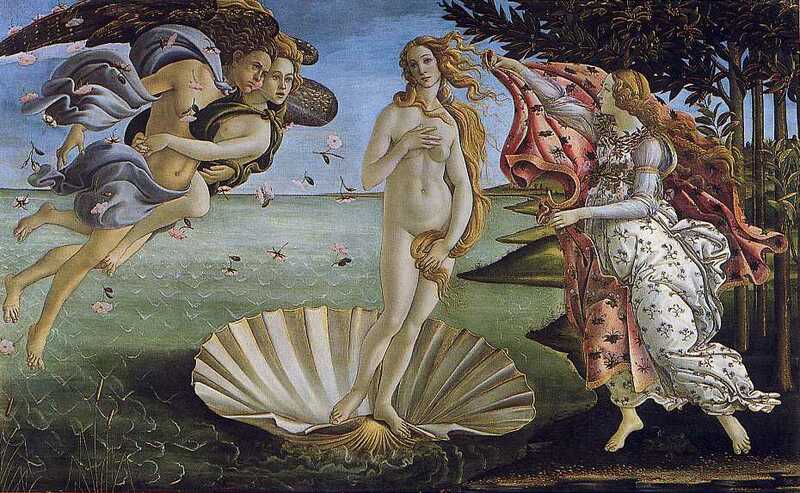 No, not Birth of Venus by Botticelli. I hope we share spiritual rebirth. I want us to share the hope that all things work together for good for those who believe and are called according to His purpose and pleasure. Oh, and if I do have Sjogren's, I am changing its name to Shogun Syndrome. That sounds a lot more formidable and frankly, if I am going to be kicked around I would rather it be by a Japanese "commander of force" than some Swedish doctor who got to name a syndrome after himself. Yeah, I know. Prideful even in malady. That's me.